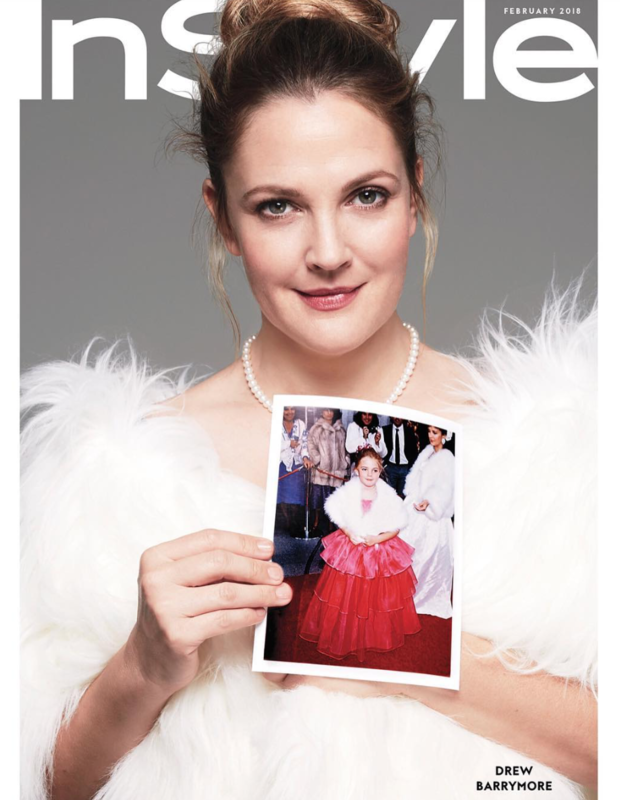 A very grown-up Drew Barrymore has teamed up with InStyle Magazine for a delightful series of nostalgia-meets-now photos – and we could not love them any more. 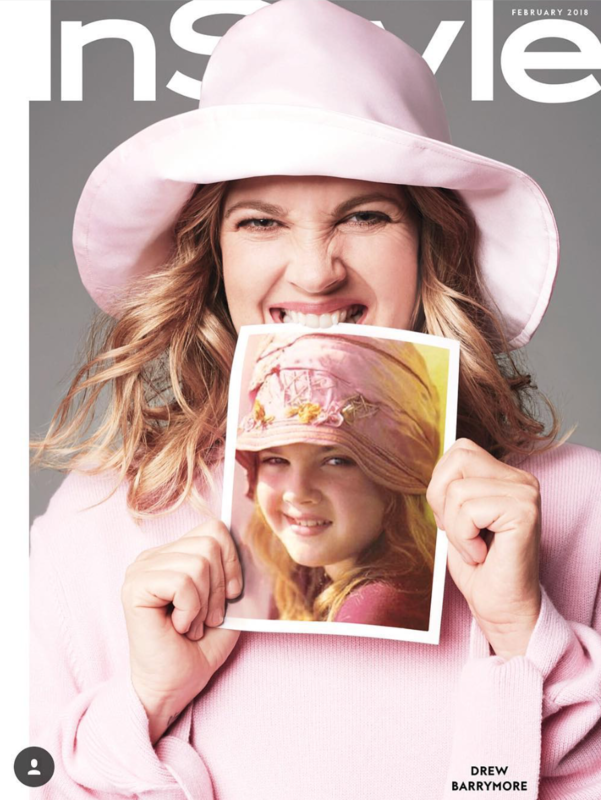 Drew not only kitted up in reimagined versions of some iconic childhood snaps, she spoke to the mag about how she’s evolved as a person, and how she feels about being a mum. We’re pleased to report that piñatas are involved. Drew admits she’s not really a shrinking violet, but notes she wouldn’t have it any other way. 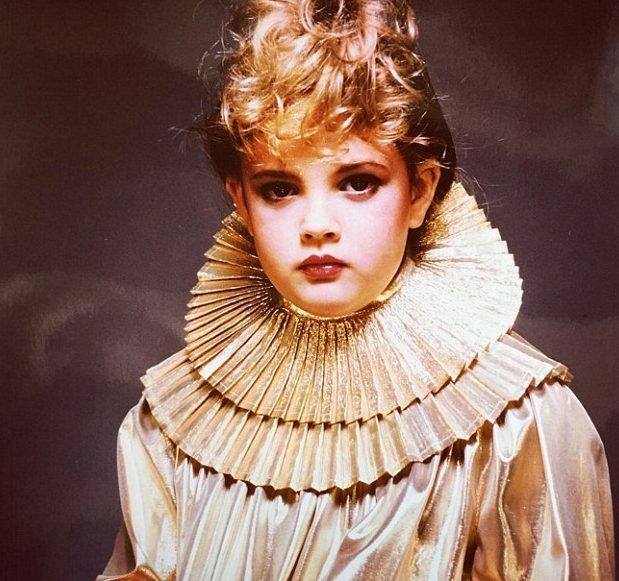 “I just had a lot of rebellion that had to calm down,” she says. “I definitely have a ferociousness. And I’ve always had it. I completely rebel against authority. I am very f*cking scrappy,” she told InStyle. Drew is currently working hard at coparenting with ex-husband Will Kopelman, the pair spending Christmas together with their girls, 5-year-old Olive and 3-year-old Frankie. 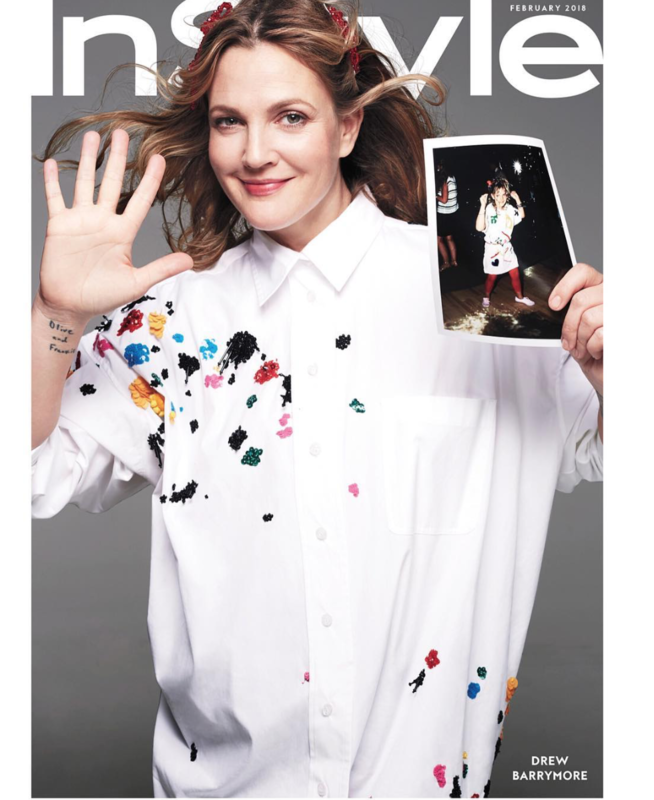 The mum-of-two spoke a little bit more about the InStyle shoot on Instagram, saying the experience prompted a closer look at how she felt about herself. “This day was just so fun!!! So I just let go and played. Kind of the way I did when I was a kid,” Drew posted. Drew also noted that while her happiness was hard won, she would not change a thing. 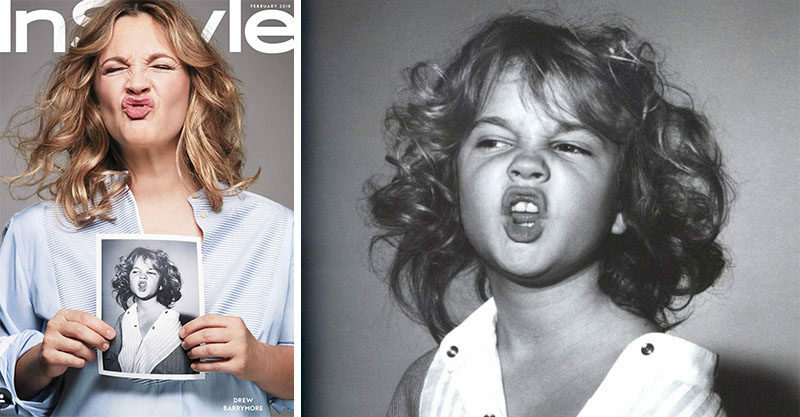 Drew was just 7-years-old when she shot to fame, starring as Gertie in the Spielberg classic ET. What followed were childhood struggles with alcohol and drugs, rehab at 14, emancipation from her mother and her own apartment at 15. She went on to appear in a string of successful films – think Poison Ivy, Scream and The Wedding Singer – before forming her own production company and later her own beauty company. It’s fair to say she’s gone from strength-to-strength, and this visit down memory lane is a pretty adorable and inspiring reminder of that. We’ll leave you with this parting shot of one of our fave mums. You. Are. Welcome.